→Should You Trust X-Ray Or MRI Results For Your Back Pain? 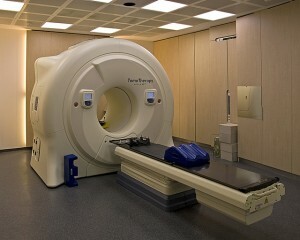 Do you have chronic back pain and going for an MRI soon? Did you get your x-rays and were told you have ‘arthritis’? How did it make you feel? Disc degeneration, facet joint osteoarthritis or osteophytes are present in nearly 90 percent of subjects over the age of 64. If you have no pain, you’re most likely to have ‘something’ on an X-ray. Now imagine what happens when you do get back pain. You go see your physician or related health professional. They recommend getting x-rays. When the results are in, you’re told you have ‘degenerative changes.’ So we become more careful with what we do. Instead of continuing to move around and getting into an exercise program, we become more cautious. We rest as much as we can. Hey, we have ‘degenerative’ changes. All that exercise can’t be any good! Then we start taking ‘arthritis’ medication. Because that’s what the x-rays tell us. But really, you’ve had no greater risk of those ‘degenerative’ changes causing your back pain than the person next to you. So what do you do when you get back pain? First of all, is the pain localized in the back? If so, that’s a good sign. If you are getting numbness going down your leg, you may need to see a health professional right away to rule out any disc pathology. But for most, gradual increase in movements, and some form of exercise is enough to get you back to full health. Getting some treatments to help increase movement are also beneficial. I personally feel that these X ray results that patients are given (unless there’s some serious issues occurring like a fracture or cancer) have led to a lot of chronic back pain. It creates a ‘victim’ mentality. It makes us believe the world is falling around us. The simple truth of the matter is, over 80% of the people in this world will get back pain at least once in their lifetime. And the majority of them will get better. 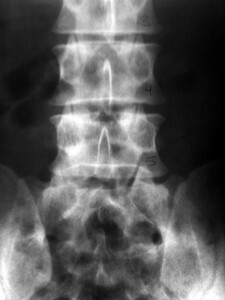 A patient is diagnosed with a disc herniation. We first work on pain control and making them as comfortable as possible. I’ve coined this initial phase ‘weathering the storm’. During this period, I’m not able to do much. They may require anti inflammatories. They won’t be able to get up as much. We do remind them to get up and move as much as they can. Over the next few weeks, they’re constantly improving. It’s not going to take a day, but it’s a gradual progress. Then, they get their MRI results. It shows a ‘disc bulge’. After the results, for some reason, they get worse. They stop doing their exercises because they think they’re going to ‘hurt’ their backs. Studies have shown that 52 -81 percent of asymptomatic individuals have evidence of a bulging disc. As you can see, most people will have a disc bulge. And they don’t have any back pain! The key here is that with the right treatments and mindset, majority of back pain will get better without surgery. If you’re suffering from back pain, look at the overall picture. Focus on doing more. Focus on getting stronger. Work with your therapist or doctor to find the positions that provide comfort. Not everyone is the same .You’ll have to pace yourself to get back to full health. This article was designed to show you that our society is relying too much on technology to give us the answer. Sometimes the answer itself can prevent us from getting better. Focus on your goals and less on those results, and you’ll have a better chance.